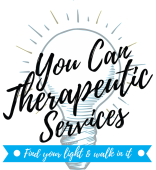 Melanie N. Lee is the owner of You Can Therapeutic Services. She graduated from the University of Southern California (USC) with her Masters Degree in Social Work in 2008 and became a Licensed Clinical Social Worker in the state of California in 2012. She carries a valid Pupil Personnel Services Credential (PPSC) to work with students in schools, utilizing the PPSC as a school based clinician in Long Beach schools for five years. Currently, depression, anxiety, and abortion recovery are Melanie’s areas of interest. However, she also has over nine years experience working with other disruptive disorders, substance use in middle school aged children, and working with families to improve functioning in the home. Melanie has supervisory experience in the clinical setting and is active in the community providing counseling services, speaking at events, trainings, hosting workshops, and consulting at pregnancy centers to improve their interactions with the post-abortive population. Currently, Melanie is slowly pursuing a Masters of Divinity with an emphasis in Biblical Studies at Azusa Pacific Seminary at APU.